Here we are again, new year, new us. Except, we have been here many times before, making the promise to start eating healthy and get in shape. The beginning of the year, the beginning of a new us, right? Week one, you are doing great! The second week is hard, but you make it. Week three, life smacks you in the face. You get frustrated. If this is similar to how you have felt in the past, don’t worry, you are not alone. Many times it is because your goals are too vague, or your plan is too restrictive. You have to be specific, but not so hard that you can’t keep up. 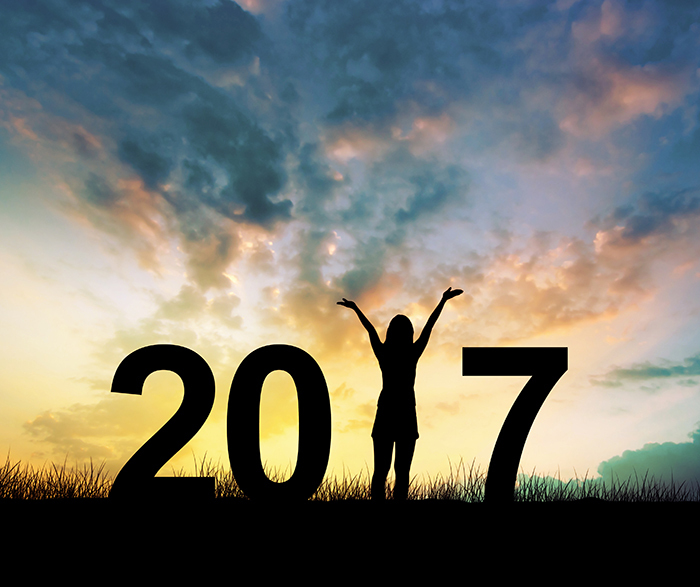 Whether you are starting for the first time, or for the millionth, we have put together a guide to fitness and health for 2017 that will help you make clear, decisive and attainable goals. Here we are, new year coming and we want to start big, make big changes to see big results! No. Stop. This is a mistake. Trying to change your entire diet, routine, sleep schedule, or all of the above is the best way to burn out. Instead, start small. Now, this doesn’t mean you can’t have big goals. You can! Challenging yourself and setting hard goals is still important. We have just seen time and time again, that running full steam out of the gate, doesn’t get you across the finish line any faster. There is no one goal that is going to get you where you want to go. Everyone is different. Think about the things you want to accomplish, or what is motivating you to get healthy. Do you want to run a marathon? Or is it about looking fit for your high school reunion? (Hey, we all want to look good, right?) Honestly, it is up to you. Find what you want to strive to long-term. Then, start by making a series of short-term goals. If you want to run a 5K, start with a mile. Want to lose 50+ lbs? Start with just getting to the first 10 lbs. Getting to your long-term goals and staying motivated is about making short-term milestones you can look forward to. It helps you feel accomplished and on track. We get it, we all want to look good. Yet, our health should never be sacrificed for this goal. That is why healthy eating and reasonable goals go hand-in-hand. When it comes to food, again, don’t just go crazy with cutting out everything you hear is bad on the internet. Take a step back first. Think about your weakness (late night eating, wine, skipping breakfast, etc.) and consider making changes there, before you take on any new diets. From there, start being conscious of what is in your food. Read the label. Yes, it is easier not to – after all, ignorance is bliss, but it won’t help you reach your goals. Don’t feel like you are doomed to eat kale 24-7 to be healthy either. Nutritious foods come in many forms. Experiment on new meals, make sure you eat breakfast and don’t give up just because you had fries. We are all human, and food should be enjoyed, not avoided. This means a great many things. You need to invest time, energy, and even money into your health. Make the time to work out, to sleep, to have time to yourself to relax. Yes, that is easier said than done, life does happen. That is why we stick with our mantra: start small. Start with going to bed a bit earlier. Try taking 30 minutes 2-3 times a week to yourself. Also, budget. Yes, there are a lot of free workout calendars, healthy meals plans, and printables all over the internet. It is tempting to just go about it all by yourself but we will tell you this – unless you invest in yourself, it won’t work. This means saving money for healthier foods, that can cost more money. This means going to a gym or fitness studio. And yes, it means making room in your wallet for yourself. Investing in your health is always a good idea. Have a down day? Did you mindlessly scarf down a whole bag of chips or M&M’s? Not make it to the gym a couple of days? Too much indulgence during the holidays? It is ok. Forgive yourself. Remember, every moment is a new moment, a new opportunity for positivity. You are not striving for perfection. You are striving for a better you. A better you does not live in self-hate or self-denial. Accept responsibility, forgive it, then move on, and move forward. The Fitness Studio is here to help you achieve your goals for 2017 and beyond. We want to help you understand that health and fitness is a lifetime achievement. Do you need to set clear, decisive, attainable goals? 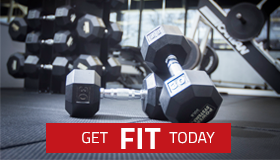 Our knowledgeable team will work with you to formulate your best guide to fitness and health.